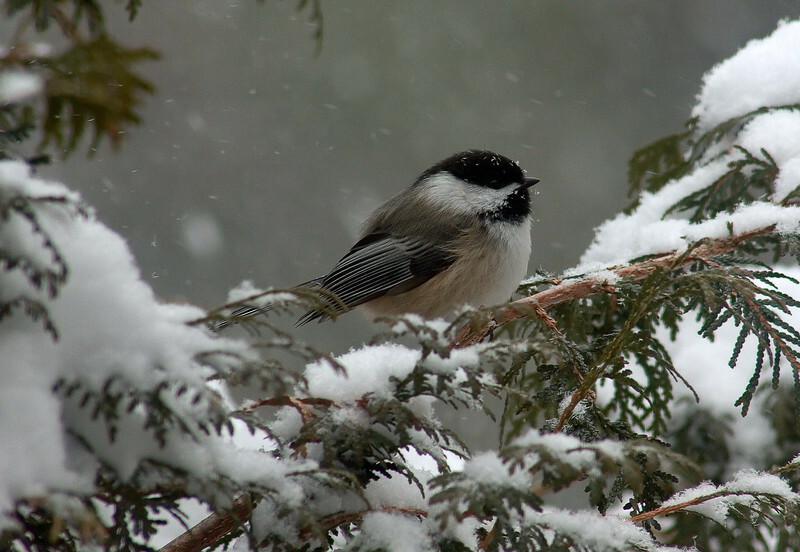 Chickadee awaiting its turn at our birdfeeder. Love how the snowflakes show up on his feathers. Fabulous winter bird shot. Super detail in the bird, well controlled exposure on the snow.